In Becker, Minnesota (USA for you out of the country folks) which is about an hour from Minneapolis or 20 minutes from St Cloud. 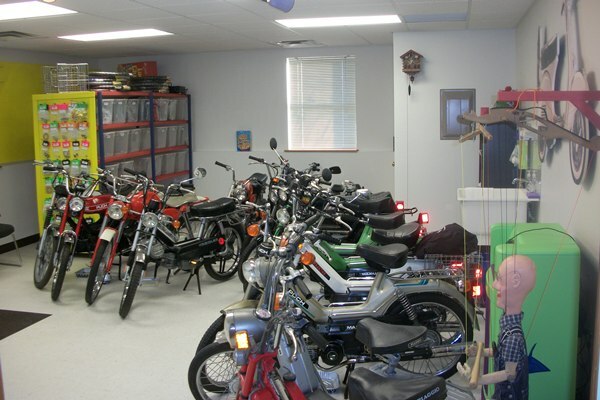 Our focus is the reconstruction of high-end or desirable old pedal mopeds back to original condition. We try and ensure that every moped that we refurbish functions 100% mechanically as it was intended (or better) the day it came off the factory floor some 35 years or so ago. 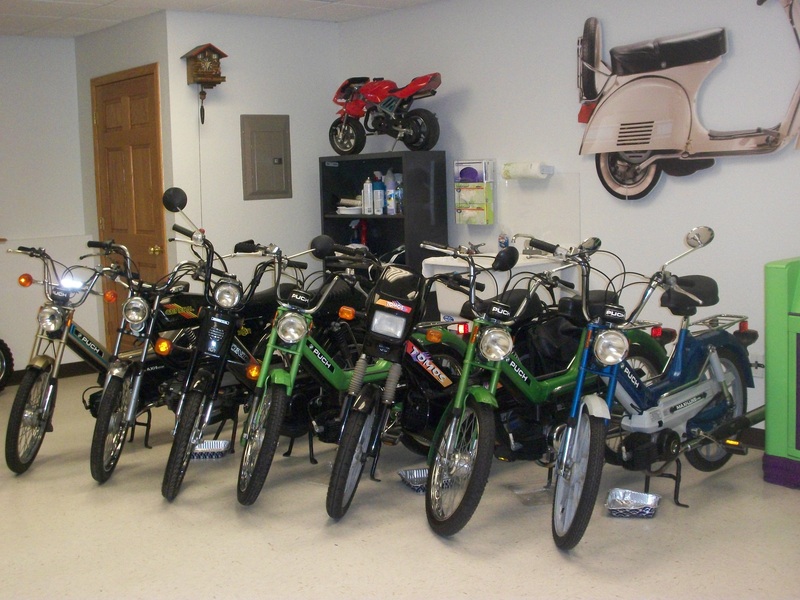 All of our mopeds are thoroughlytested and inspected, test driven and then re-inspected before we allow them to be available for purchase. We don't compromise on safety or reliability! However, as with all machines, things can unexpectedly break or develop problems regardless of the care and effort that was put into it to ensure that it wouldn't. What separates Sunday Morning Motors from any other repair shop is we stand behind everything that we sell and then some. We believe that if you pay good money for something it shouldn't break or become unusable after a short time. Our reputation with past customers is our testament that we will always rectify problems or issues quickly and at your convenience, not ours.